We all had another great day in the Cotswolds on the 17th of June. 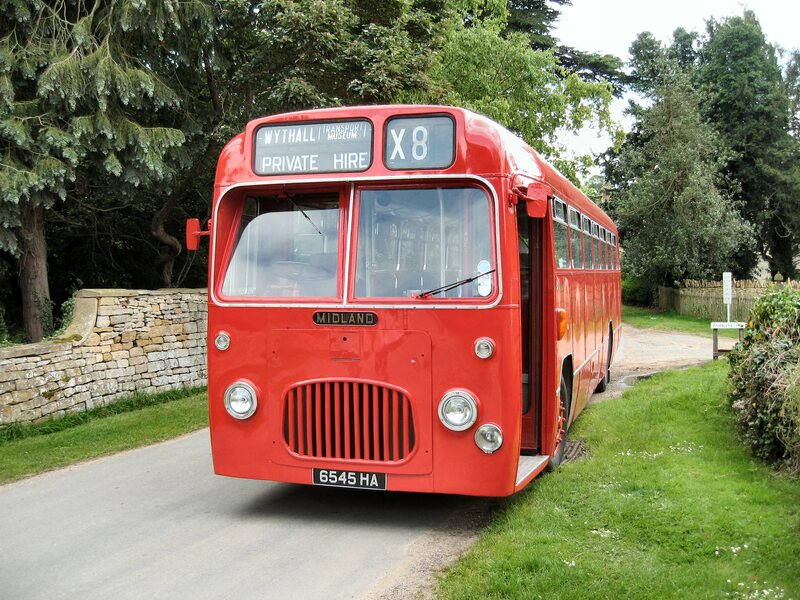 Our Historic Bus Tour took our usual route from Wythall through Alcester and plenty of Costwolds villages on our way to Cheltenham Racecourse Station on our Midland Red single deck bus 5545. 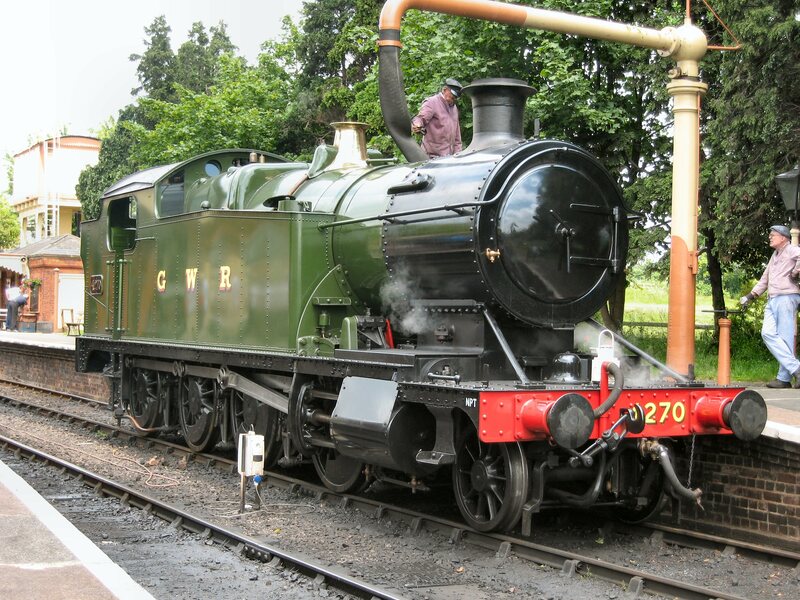 We then rode on the Gloucestershire & Warwickshire Steam Railway behind newly restored ex-GWR 2-8-0 tank locomotive 4270 on our journey to Toddington. 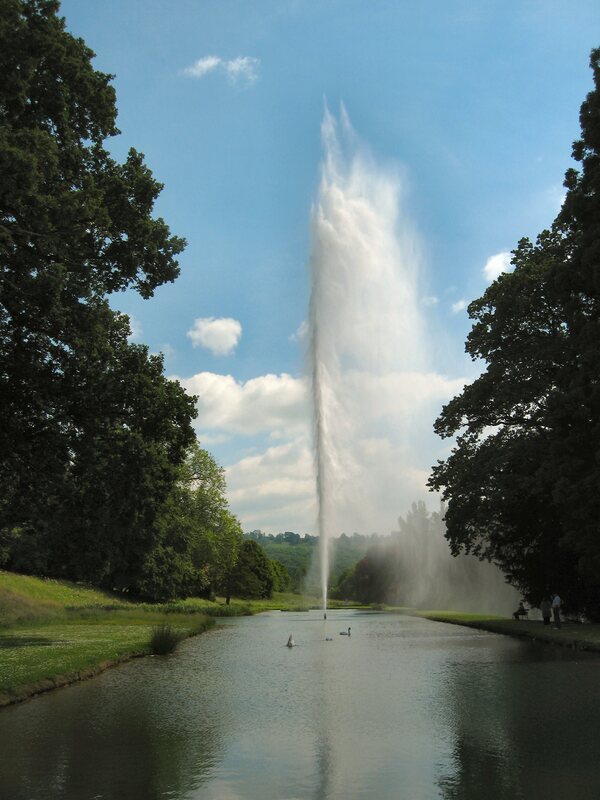 A short bus ride then took us to the gardens at Stanway house to view the spectacle of the tallest fountain in Britain starting up and playing for half an hour. Tea & cake was thankfully consumed by everyone and we boarded the bus once more for the ride to Broadway. Our usual route was disrupted by closure of the road where it went under the northern extension of the GWSR just by the site of Broadway Station where the bridge over the road is being rebuilt. But we are always flexible and within the twinkle of an eye changed our plans to make sure that there was another opportunity for a walk round and drink more tea! Leaving Broadway behind us we trundled through more Cotswolds villages with tales of murders, ghosts, dismembered bodies and grave robberies to keep us entertained. We arrived on time at 6pm at Wythall after a terrific day out with brilliant weather, good company and the generosity of our passengers dipping in their pockets to donate a total of £85.21 which will go towards our chosen charities this year. 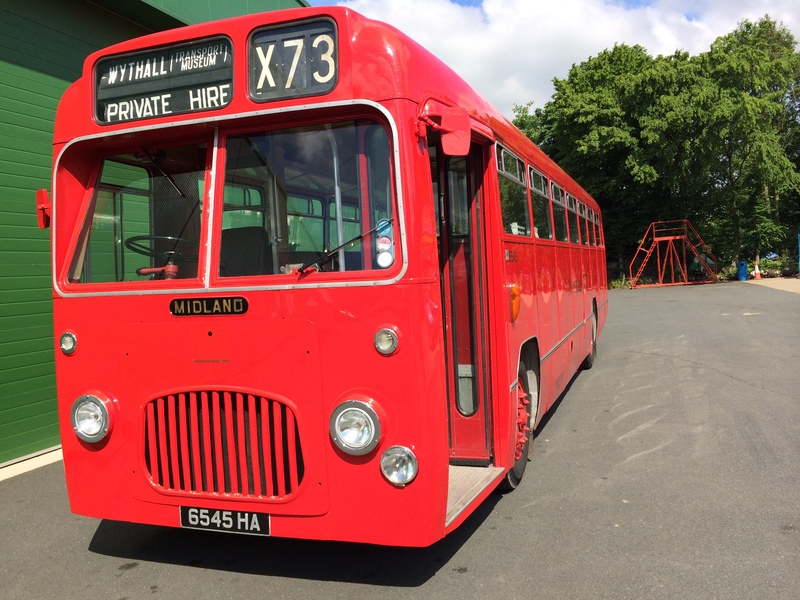 Thanks to Phil (driver) & Mike (conductor) from the Transport Museum at Wythall who looked after our bus and helped to make the day such a success. Thanks once again to everyone involved, passengers, crew and including the guys & girls at Wythall who helped to make our bus such an attraction. This entry was posted in Historic Bus Tours for 2014, Stanway Fountain, Steam Railway, Wythall Transport Museum and tagged Broadway Station Appeal Fund, Bus Tour, Cotswold Bus Trip, Cotswolds, Gloucestershire & Warwickshire Steam Railway, Great Western Steam Railway, Guided Tour, Historic Bus Tour, Historic Cotswold Bus Tour, old buses, Outer Circle Bus, Stanway Fountain, Steam Train, Vintage Bus Trip, Wythall Transport Museum. Bookmark the permalink.